You want to move to Tours? Study’O takes care of everything for your rental apartment in Tours! You don’t need to worry anymore about your move, because all of our accommodations are carefully furnished and decorated to make you feel at home as soon as you arrive! To facilitate the success of your studies, Study’O has thought of everything! Our Study’O Tours residence is ideally located, close to the Faculty of Sciences of Grandmont, near public transports and shops. Everything is within reach of your rental apartment in Tours! Need to wash your clothes? Ask Study’O! Our residence offers a range of à la carte services and conveniences: laundry self-service, car parks, housekeeping, linen rental… Don’t worry anymore about the daily house cleaning! 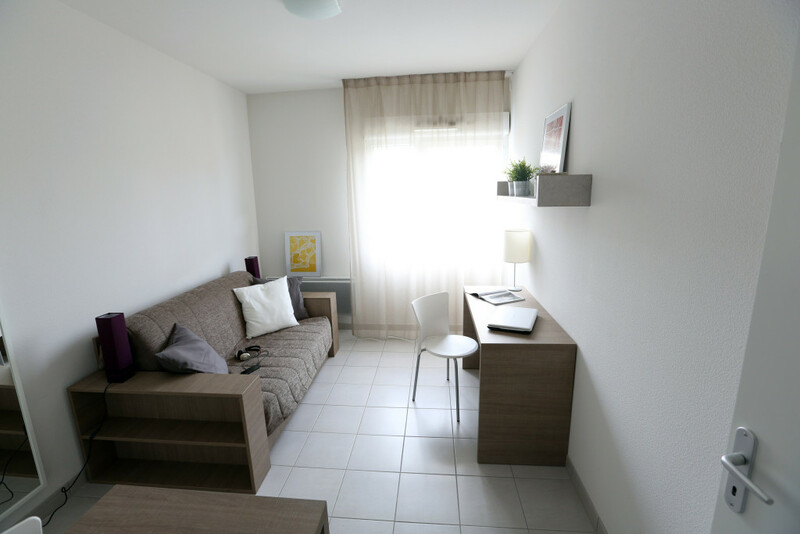 In your rental apartment in Tours, you will enjoy a furnished apartment with a kitchenette, a sofa bed, a desk area, a bathroom with shower and toilet, and a broadband Internet connection.